GlobeNewswire: Chronocam, said to be the inventor of the world’s most advanced neuromorphic vision system, is now Prophesee, a branding and identity transformation that reflects the company's expanded vision for revolutionizing how machines see. Prophesee SA (formerly Chronocam) receives the initial tranche of its Series B financing round, which will total $19M. Led by a new unnamed strategic investor from the electronics industry, the round also includes staged investments from Prophesee’s existing investors: 360 Capital Partners, Supernova Invest, iBionext, Intel Capital, Renault Group, and Robert Bosch Venture Capital. The latest round builds on the $20m Prophesee has raised over the past three years, and will allow it to accelerate the development and industrialization of the company’s image sensor technology. The roots of Prophesee’s technology run deep into areas of significant achievements in vision, including the breakthrough research carried out by the Vision Institute (CNRS, UPMC, INSERM) on the human brain and eye during the past 20 years, as well as by CERN, where it was instrumental in the discovery of the invisible Higgs Boson, or “The God Particle” in 2012 after more than 30 years of research. 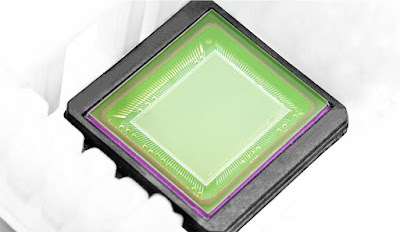 Early incarnations of the Prophesee technology helped in the development of the first industry-grade silicon retina which is currently deployed to restore sight to the blind. Thanks to its fast vision processing equivalent to up to 100,000 fps, Prophesee’s bio-inspired technology enables machines to capture scene changes not previously possible in machine vision systems for robotics, industrial automation and automotive. Its HDR of more than 120dB lets systems operate and adapt effectively in a wide range of lighting conditions. It sets a new standard for power efficiency with operating characteristics of less than 10mW, opening new types of applications and use models for mobile, wearable and remote vision-enabled products.